Former Vice President Joe Biden talks about fighting cancer during the South by Southwest Conference and Festivals in March 2017. Two suspicious packages being investigated by authorities in Delaware on Thursday morning contained pipe bombs intended to be delivered to former vice president Joe Biden. Law enforcement sources told CNN that one package sent to Biden had an incorrect address and was returned to sender. 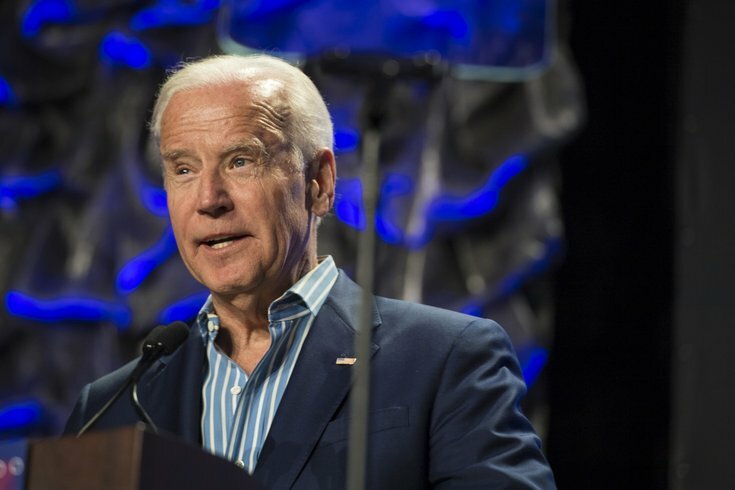 Authorities found the second package addressed to Biden mid-Thursday morning, intercepting at a mail facility in Wilmington, Delaware. The first package discovered was found at a postal center in New Castle, Delaware. Actor Robert De Niro, who publically criticized President Donald Trump during this year's Tony Awards, also was the intended recipient of a suspicious package containing a pipe bomb that delivered early Thursday, marking the latest round of explosives sent to public figures in the last 24 hours. De Niro's package was sent to his New York production company. The packages appear to be connected to others sent to former president Barack Obama, former secretary of state Hillary Clinton, and the New York CNN offices, among others. The pipe bombs, crudely built and sealed in manilla envelopes, have been addressed to liberal politicians who have been vocally critical of President Trump and/or right-wing politics. Other victims of the suspicious packages include Democratic Rep. Maxine Waters, sent to addresses in both Los Angeles and Washington, D.C., former CIA director John O. Brennan in New York City, Democratic Rep. Debbie Wasserman Schultz in Florida, and former Attorney General Eric Holder in Florida. The first in what appears to be a series of linked packages was delivered to billionaire philanthropist, and liberal donor, George Soros at his suburban New York home. The intercepted pipe bombs have not harmed anyone, and it's unclear if they had the potential to do so. Officials are investigating to determine whether they are hoax devices. In a speech conducted at the White House on Wednesday afternoon, President Trump said "we will spare no resources or expense" to determine who sent the pipe bombs.